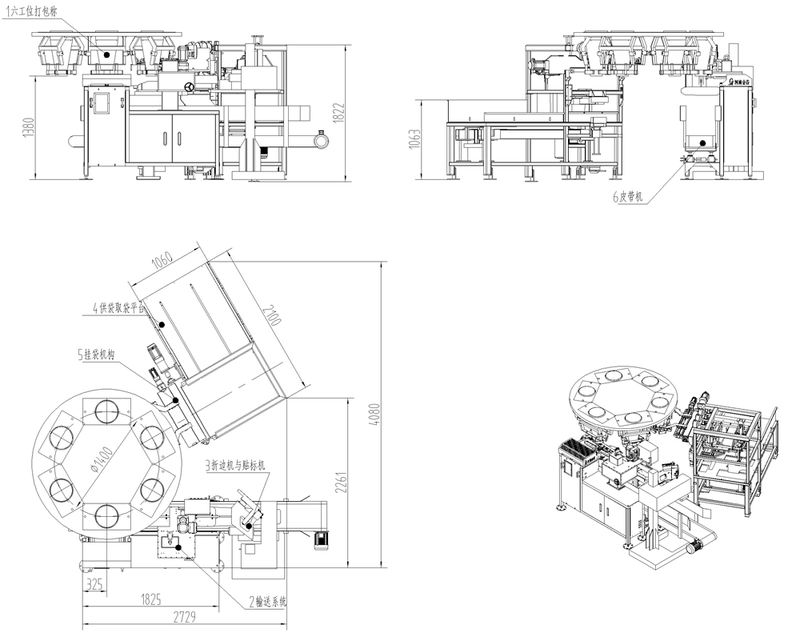 The automated system is a complete line built with our flour bagging and packaging machines. 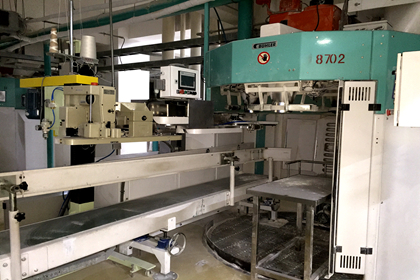 This line is equipped with a four & six bagging scale (existed by customer), a bag vibration machine, a high speed open mouth bagger, a robotic arm bag reformer, a folding machine, a bag closer/sealer and a conveyor. 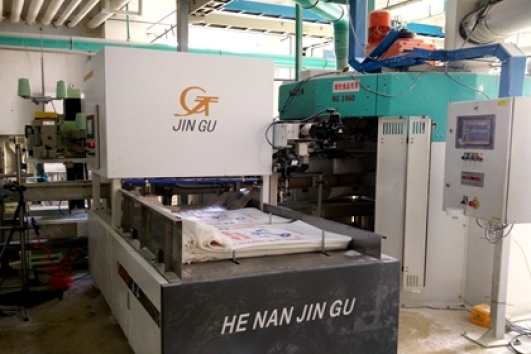 Jingu manufactures flour bagging and packaging machines for 25kg PP woven bag productions. 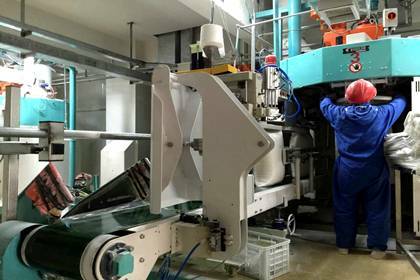 Flour bagging and packaging machines from Jingu are accurate, fast and reliable. 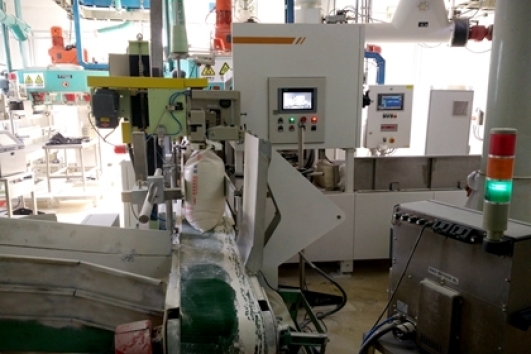 JFZG800 Automatic bagging machine for flour is a new type automation machine which is used for 25kg PP bag bagging and closing system. It is equipped with automatic bag store, open-mouth device, bagger, labelling, closing system, its capacity is 800 bags per hour. The system can offer 99% precise bagging sucessful rate and automatic failure bag safety device. Microgripper (Bionics principles). 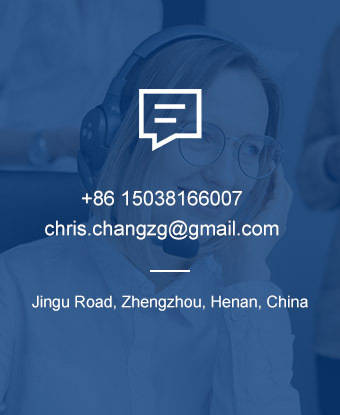 Commonly open-mouth method include negative pressure suction and gluing. 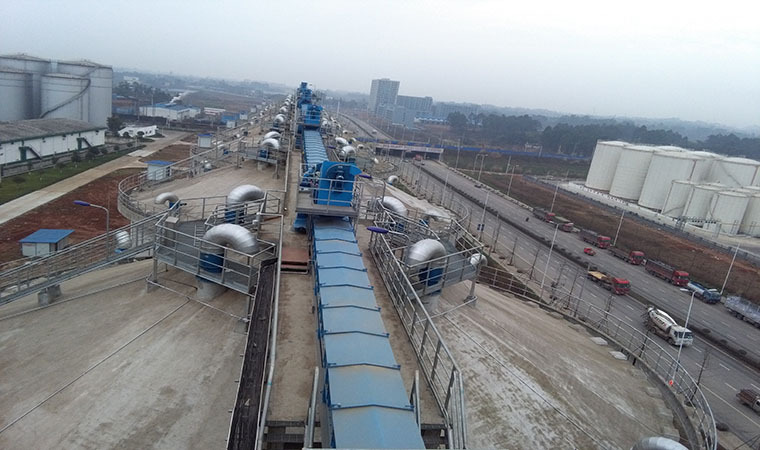 Both of them are difficult to breakthrough the high-speed open mouth successful rate (≥99%) due to the high air permeability, soft texture and bag mouth adhesion of PP woven bag. To solve the problem of sucking double labels and labels off, fundamentally ,improve the success rate of the labeling , our team use friction pickup paper to take paper and robot fingers directly catch the labels into the sewing machine. The labeling success rate of the new labelling machine increased to 99.5% or more. ➭Automatic failure bag safety device. 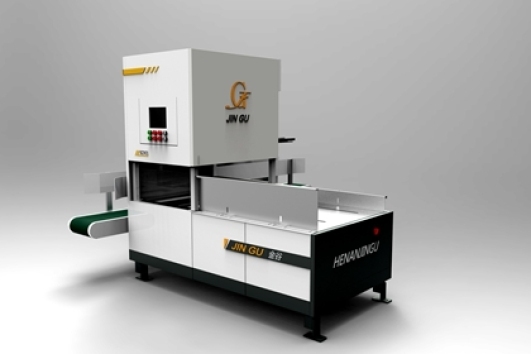 In order to improve auto bagger running efficiency, JINGU developed automatic failure bag safe system. It could realize unmanned remove failure open-mouth bag during running status of auto bagger. 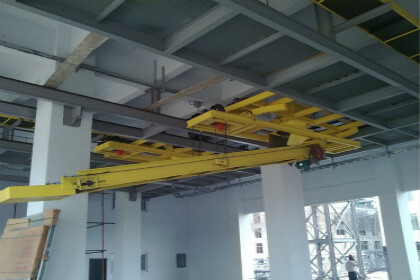 This working site is located in Shijiazhuang, China. 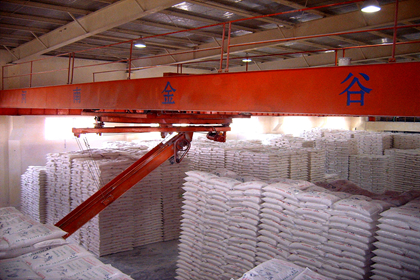 Mainly processing includes wheat flour packing and stacking system solution. 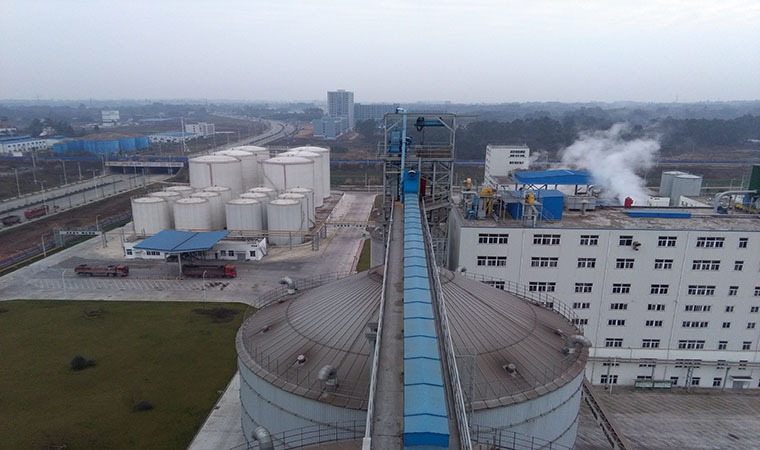 As the earliest bag stacking system for flour mill plant of China, JINGU successes got the offer and submit the modern technology for finished flour warehouse in flour market. 150 units sales order, 800bag/h, 25kg laminated polywoven bag, complete match with Buhler four & six-station packaging scale.